Here’s What My Child birth Experience Was Like – and It Was Overwhelming! 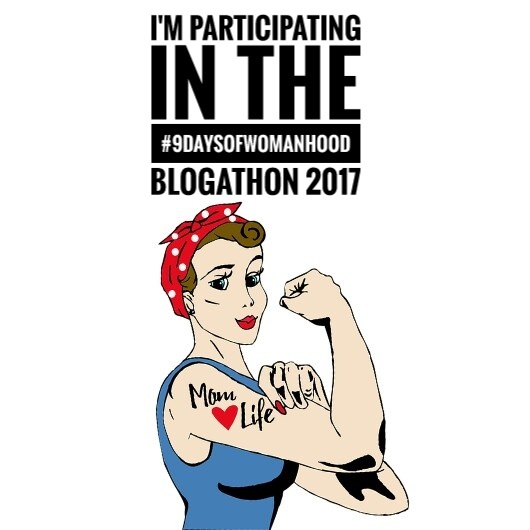 It brings me immense pleasure to share that I, along with 24 other bloggers are celebrating #9daysofwomanhood throughout Navratri. I thank Akshaya Nandakumar for introducing me. I am sure you would have loved her blog on the prompt for today ‘My child birth story’. I had in my mind how the birth of my child is going to be. Just like other moms, I had also dreamt about child birth. I wished normal birth for him…contractions in the middle of night… waiting for morning… breaking of water… going to the hospital and coming back with the baby in my arms. It played in my mind all the time, like a movie. What was not the part of my movie was going overdue. Nature had different plans for me. As my due date approached, every moment I used to feel ‘this is it! !’, but they just used to be the baby’s movements in my lower abdomen. Every night I used to sleep with the hope to get some pain but woke up in the morning with only frustration. To give icing on the cake, every morning people around me used to stare at me stating that I am still roaming around with no signs of labour. On my EDD, I was advised by my gynaec to wait for three to four days. These four days were full of eagerness, lots of walks in the park, eating pineapple… but no signs of contractions. On the 3rd evening, I called up my doctor to tell him my condition and that I cannot wait anymore. I was advised to be admitted the next day. That night was the last one when my husband and I went for a dinner date alone. The next morning was bright. I called up my dad to wish him ‘Happy birthday’ as my husband drove me to the hospital to get the baby in our arms. Yes!! The day was special, my dad’s birthday (He says he will be with me this way forever… and I am glad about it). I was admitted at around 9 a.m. and was induced pain through drip after giving the enema. Minor contractions started and then I was moved to Labour Room where my water broke. By the time I walked back to the room, the level of pain increased with contractions and this mini walk felt like a punishment to me. Having an induced pain is a strange experience where in you go from a completely normal stage to being in a very intense labour within half an hour. There is nothing like low level, no slow build up, no gentle phase of contractions. It’s like a game of NFS from beginning to the end. My husband was sitting right next to me and was asking me to breathe hard with every contraction and I was holding and clutching his hand so tightly that his hand would have died if these contractions continued anymore. I couldn’t bear the pain anymore and so was given epidural. Then, began the labour of pushing hard in the labour room, but all in vain. Mine was the case of Primi pregnancy which means my pelvis was too small to deliver the baby. So, my husband had to sign to allow for a forceps to be used for getting the baby delivered. But before the doctors could proceed with it, they noticed a change in the heartbeat of the baby. So, they decided to proceed with LSCS formality. They asked my husband if he would like to talk to me before I get operated. I was glad at least they did allow us to meet as over here – husband or any relative for that matter is not allowed inside the Labour Room. He wished me luck and I walked excitedly to the operation table. I was given anesthesia and so was not able to feel my lower body but was fully conscious. My doctor was very cool discussing my journey of pregnancy so far as she was giving a cut on my lower abdomen. These minutes felt like hours to me. She couldn’t pull the baby out as his head was stuck in the passage. He had to be pushed back inside by another doctor and out came the baby. I was relieved and filled with tears of joy when the doctor said ‘It’s a healthy baby boy’. The baby was taken for a checkup and cleaning as I was getting the stitches. He came back to the room again after being cleaned. ‘Awwwww….’ was all I could say when his little fingers touched mine to be with me… forever. I would take the opportunity to introduce Misha Jain who blogs at freshlybakedhead. Do check out for her take on the prompt for the day. I am taking my Alexa rank to next level with #Myfriendalexa.